Combination of Lanolin and Mineral Oil will moisturize lips to prevent drying and chapping. Has SPF 15 that will protect the lips against UV rays. Directions: Apply evenly on lips everyday. Can be used as base for lipstick too. Ingredients: Mineral oil, Ozokerite, Petrolatum, Octyl Mathoxycinnamate, Octyl Salicylate, Lanolin, Flavor, Dimethicone, Menthol, Camphor. Orange- Smells like orange juice, obviously. Blueberry- It doesn't smell like blueberry muffins, but it does smell slightly sweet. I think this is the best one for men. Hey, if Ed Westwick (Chuck Bass, Gossip Girl) could publicly apply the egg-shaped eos lip balm with panache, this surely won't make you look less like a man. Lemon - Smells like lemon peel. 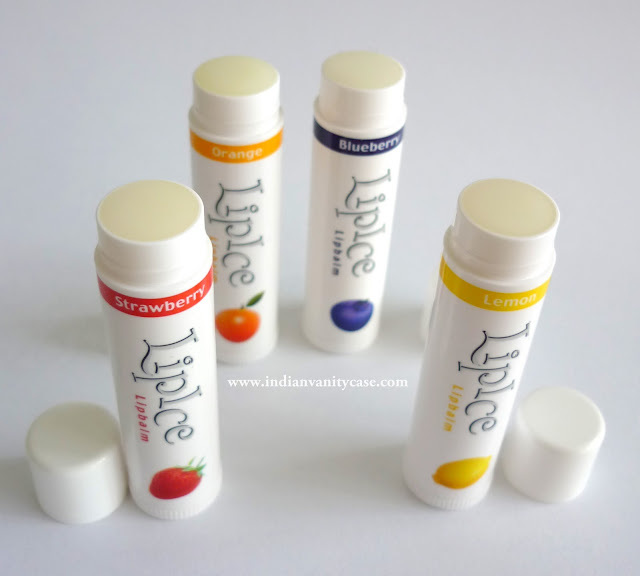 All the lip balms have Menthol, which gives lips a cooling sensation. I find that all the fruity flavors aren't very strong, which is usually a plus point for those who cannot stand strong fragrance in lip products. In order of preference: Orange, Blueberry, Strawberry, Lemon. Magical shade enhances natural beauty of your lips with a tender sheer pink after application. To have natural pink lips, apply an appropriate amount on your lips. The more you apply, the darker the color would get. Do not turn up the stick too high to prevent breakage. Isopropyl Palmitate, Polybutene, Polyethylene, Mineral Oil, Petrolatum, Ozokerite, Beeswax, Microcrystalline Wax, Octyl Methoxycinnamate, Olea Europaea Fruit Oil, Tocopheryl Acetate, Aloe Barbadensis Leaf Extract, CI 45410:1, BHT, Ascorbyl Tetraisopalmitate, Retinyl Palmitate, Zea Mays Seed Oil. I love the packaging, which is different than the one I had before (plain pink). This has a silver cap with pink floral design- so girly! It is a clear white stick that changes into a shade of sheer pink on lips. What I like about this is it looks like it is a part of your lips, because the pink looks so natural, like the color is coming from within your lips. 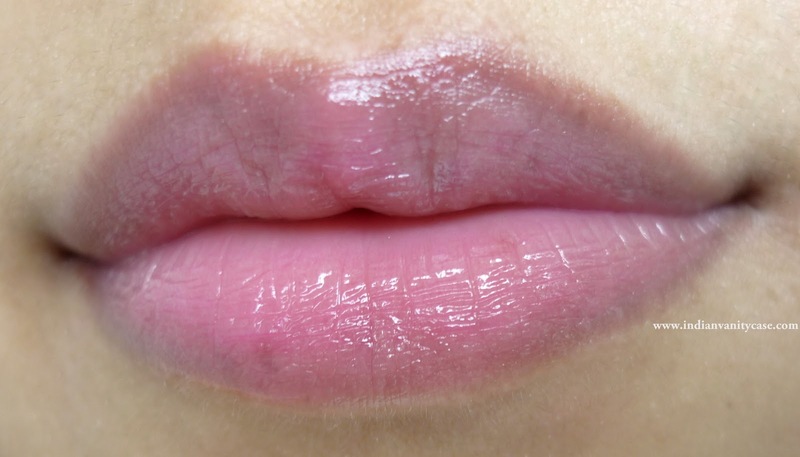 It looks glossy right after application, but it dries out quickly, making your lips look stained, but without making them dry. 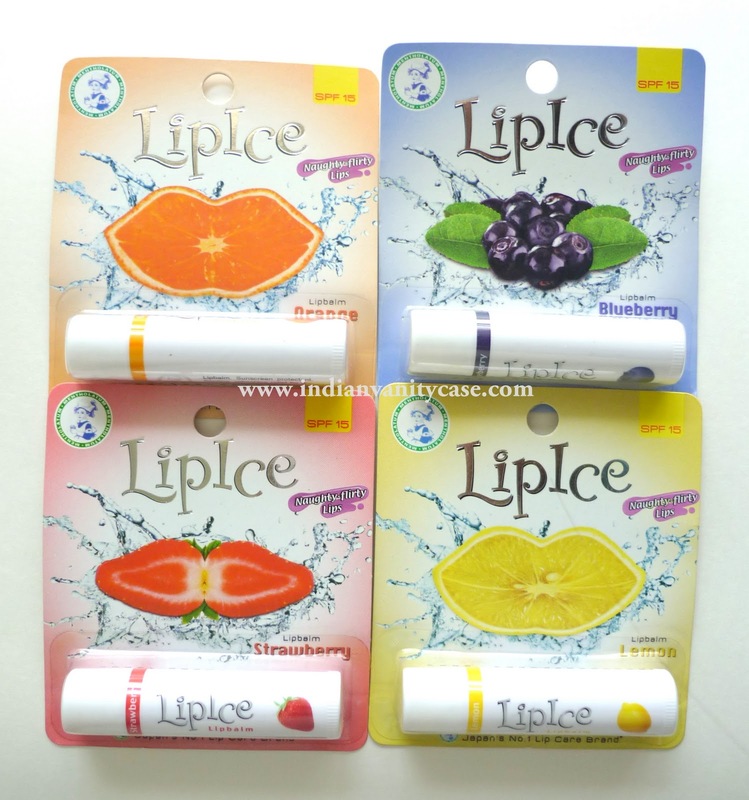 What is your favorite Lip Ice? Hi, any where i can find this product in bangalore?? hey CZ even i picked all 5 :) lovely isn it ?? @ anony. you can call them and they will deliver you free of charge otherwise they are easily available in H&G Stores across bang. they look really nice!! very detailed review.. I want d sheer color..!! I have the sheer color one and i love it!! I'm fascinated by the Sheer Color! That's quite magical, alright, that darkens after application. After seeing the review of the sheer color on your & a couple of other blogs, I've ordered it online & I should get it very soon! Yay. Hey, do you know where i can get it in Bombay? thanks! I got to know about LipIce through you and bought the sheer colour. I'm from hyderabad, btw. great website, though I'm also on the look out for a good Hyderabadi Blogger. 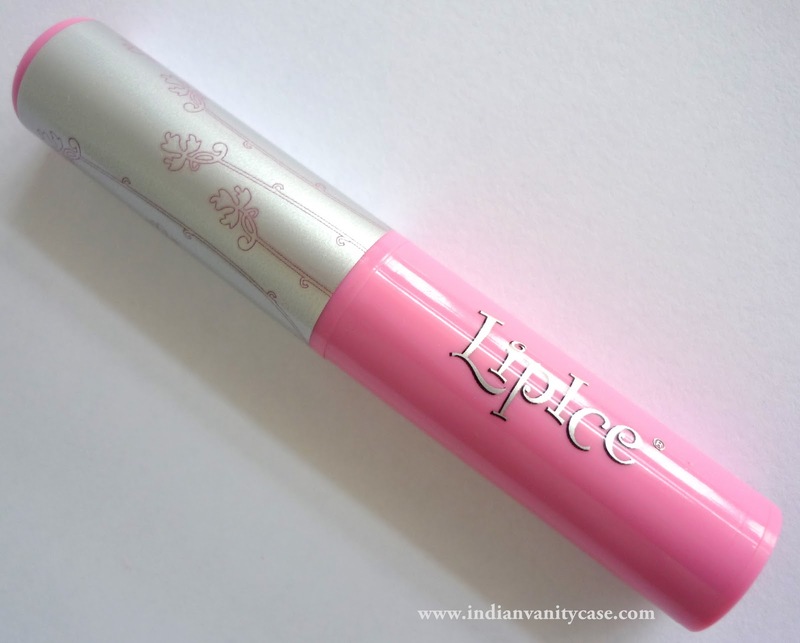 very can v find lipice in hyd???? Good thing the Lip Ice line worked for you! They made my lips dry. =( I know they're supposed to be lip balms but they had that crazy effect on me. 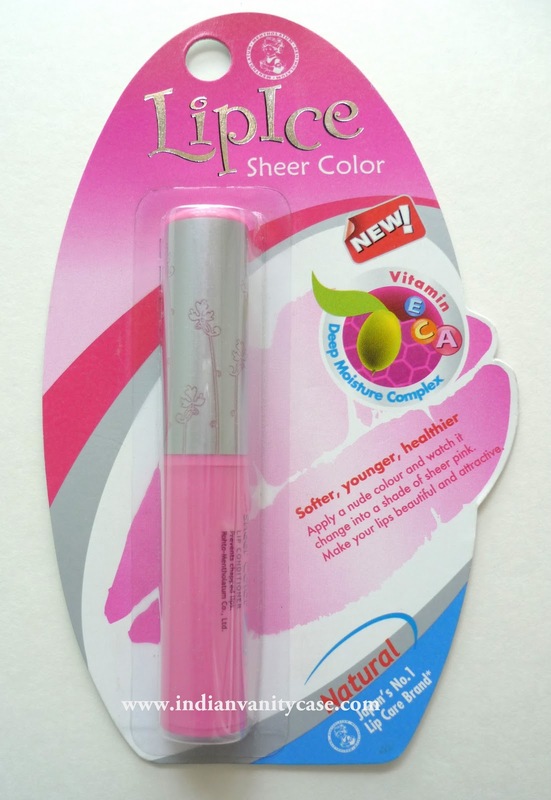 The magic that u see in Lip Ice Sheer Color balm is nothing new. I hv used Corolla lipstick in d past which is priced at Rs 10! It comes in different colored sticks like green, purple, blue but just like this - on application becomes light pink in shade. 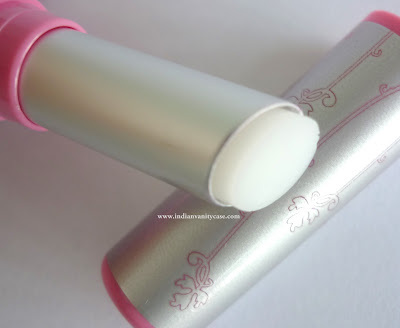 Also a drug store brand lip balm by d name Tiannuo has d same effect, it is a white lip balm stick but turns to light pink on application.